Bob Dylan won the 2016 Nobel Prize in Literature, the Swedish Academy announced in Stockholm on Oct.13, 2016. The announcement that the 2016 Nobel Prize for Literature has been awarded to legendary U.S. folk singer and poet Bob Dylan has produced animated discussion among literary critics and journalists – is he worthy of this honor? RBTH editor Olga Vlasova argues that he is – and that the choice is necessary to broaden the integrity and purpose of the prize in a time when literature – including both poetry and the novel – is in crisis. I cannot say that I am an ardent admirer of Bob Dylan. Mark Knopfler and Dire Straits are more up my alley: He is more subtle and closer to my worldview and his poetical expression is more interesting. However, if I were the Nobel Committee, I would agree on Dylan. Because we have to be objective: Bob Dylan is a broader cultural phenomenon. Even the Beatles once drew inspiration from him. 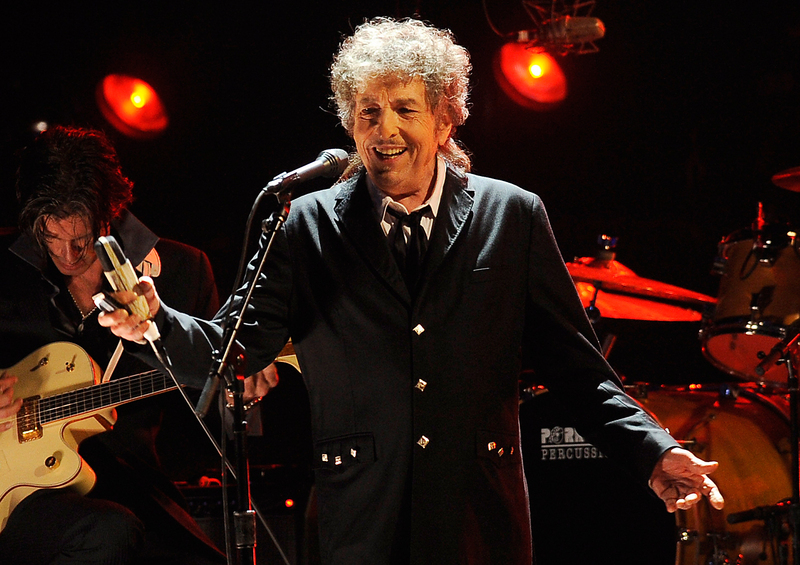 But while the Beatles fell from the acme of their popularity a long time ago, Dylan continues touring to this day. The recognition of the man famous for protest songs such as The Times They Are a-Changin’ and stream-of-consciousness compositions like Tangled Up in Blue as a participant of the world literary process is, in my opinion, excellent news for all living poets. Let me explain why. Frankly speaking, in recent years, following the Nobel Prize for Literature has become uninteresting. Many people have criticized the committee for politicizing its decisions. The prizes have been given not for great achievements in literature but rather for certain socio-political aspects of the laureates' worldview. I do not want to offend anyone and I will not name any concrete names, but can any of the recent Nobel laureates be called a really great writer on a world scale? And the problem is not only with the biased Nobel Committee. Something is going on with world literature. This is particularly felt in large forms such as the novel. The novel, unlike smaller prose forms, is a whole world, reflecting the self-awareness of the society that created it. Of course, it is the writer who writes it, but he basically captures that which is also realized by those around him. A really good novel cannot just be invented, since by nature it has stubbornly followed the development of the forms in which social awareness manifests itself, starting from the late medieval period. Before, the committee had novels that could be recognized. Let's remember at least Gabriel Garcia Marquez in 1982 with his One Hundred Years of Solitude. Right behind him, breathing down his neck was Chinghiz Aitmatov with his White Steamship and The Day Lasts More Than a Hundred Years. I still do not know who is better. Both authors were titans and their books were doubtlessly powerful creations in world literature. The novel – an exhausted format? But now what? The Nobel Committee members are confused. The novel is under threat. Contemporary prose is heading in two directions: One category of writers is busy looking for new ways to express themselves, new styles, word games and compositions - this may be art but it is surely not great world literature. Others use the traditional novel, novella and short story form and search for new plots and new aspects of human existence. But this approach also has many problems. It seems that everything great and universally human has already been talked about and contemporary literature, just does not have new themes with such scope. No one is to blame for this, including the authors. It is just that in the current evolutionary stage of individualism in human society the world is beginning to atomize itself, to splinter into niches – it no longer has the same unity. This is an objective socio-cultural fact, which concerns far more than just literature. But literature is its most active reflection and from the point of view of atomization, the state of the novel is particularly delicate. It is breaking down, precisely because there is no unity that can be reflected. It is easier with smaller prose forms – they adapt better to an atomized society and they, like headlights in the dark, can perceive the little pieces of reality that are attracted to light. However, there are complications here also. Literature has investigated the human being inside out, in all his manifestations, and everything about him has stopped being a mystery. What is left are just small, marginal themes. By the way, it was a while that I had been moved like I was by a short story from an American authoress Maile Meloy, "Madam Lasarus", in which an old gay man, who is abandoned by his latest lover, is living out his life in the company of a very old little dog, who during a walk decides to die. In a way, even talented contemporary prose, which seems to be telling us something new, is in reality just repeating that which was, and was, and was…. In other words, these books are not listed among the hundred that a person must definitely read in their lifetime. They are superfluous, they are not essential. And so the Nobel Committee is indecisive: Either it gives the literature prize to a writer from a developing country for his heroism or to a female author of filigree stories or to basically a publicist for raising an important social issue. With poetry the situation is even worse. Besides the problems that concern prose, poetry has a specific problem. In general, poetry is an oral art, which calls for declamation. No one today even reads good poets. They belong to a very narrow, practically literary circle, since many educated people that like reading in general do not buy and do not read poets. Can you remember off the top of your head the last time you bought a book of modern poetry? Or have you ever heard of a contemporary poet whose collection became a world bestseller? And looking at how society is developing today, it seems that in the future they will be read less and less. This is why the Nobel Committee has made a decisive move. It has freed itself from the endless vicious circle and given the award to a great human phenomenon named Bob Dylan. It has also set a precedent and included all living songwriters of Dylan’s pedigree as potential Nobel laureates. The idea of poems as song lyrics also being literature is not new. In the distant past poetry was recited only to the accompaniment of music, and the trend began to change only in Dante's time. This is what secretary of the Swedish Academy Sara Danius meant when she said: "Homer and Sappho – they wrote poetic texts that were meant to be performed with instruments… it's the same with Bob Dylan." A couple of weeks ago, just like the Nobel Committee, I also had the thought of poets being in demand for their musicality in our intensely market-oriented world. I saw an acquaintance's poems on her Facebook page and I was asked what I thought of them. The poems were obviously about love but were not bad. However, I sadly had to admit that she has no chances of being published, unlike, for example, a young prose writer with the same amount of talent. The only way the young lady can become a popular poet, I thought, is if she finds some good musicians and starts writing songs. So when the Nobel Committee announced that for the first time in its existence the prize for literature would go to a popular and acclaimed songwriter and solo artist who has been singing his poems for the last 50 years, I was not at all amazed. Perhaps the idea has been floating in the air. However, the Nobel Committee's unexpected decision is not only a gift and a promise of better life to the poetic community, it is in way a salvation for the prize itself. The prize can continue being given, as it should be, for contributions made to world literature and for important worldviews, and not to people who just happen to be at the right place at the right time. Olga Vlasova is Global English Team editor for RBTH.